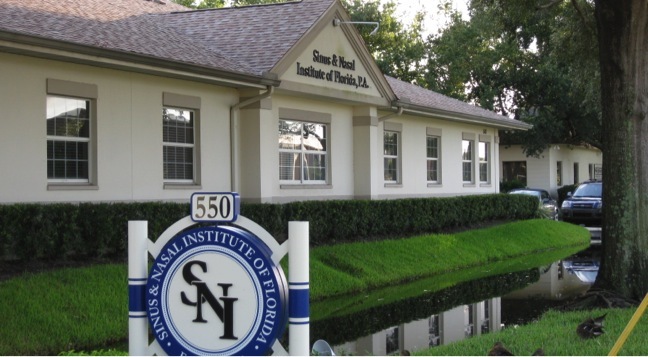 My mini-fellowship was spent at the Sinus & Nasal Institute of Florida under the supervision of Dr Donald Lanza, Rhinologist & Skull Base Surgeon. Dr Lanza is a former President of the American Rhinological Society and has won numerous awards from the American Rhinological Society and the AAO-HNS for his services to the specialty and teaching. He has been listed in "Best Doctors in America" continually since 1994 and in "Top Doctors in America for Cancer" since 2006. 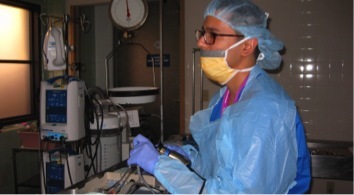 In 2011 he was acknowledged as being ranked nationally among the top 1% within his specialty according to his peers. He set up his own specialist rhinology practice at the Sinus & Nasal Institute of Florida in 2004 (affectionately know as the 'SNIFL').anked nationally among the top 1% within his specialty according to his peers. 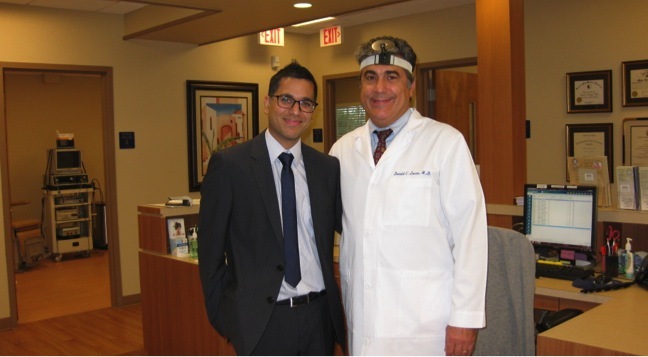 He works with Dr Alla Solyar, one of his former fellows and has a recognized rhinology and skull base fellow from the American Rhinological Society Fellowship Matching Scheme. Dr Lanza had carefully organized my short time with a packed educational programme. I was greeted at the 'SNIFL' with a welcome pack including a timetable with plenty of educational material including a number of interesting relevant peer review publications. Dr Lanza had also very kindly organized fresh frozen cadaveric dissection with navigation and I spent a very useful afternoon being taken through advanced sinus surgery dissection including Modified Lothrop and approaches to the pituitary. It is clear that the US trainees benefit from greater exposure to cadaveric dissection and this is something that we should take on board in our training back in the UK. Dr Lanza is running an advanced endoscopic sinus surgery course in November 2016 in St Petersburg, Florida which I would highly recommend. Theatre sessions were carried out at the neighbouring St Antony's Hospital. It was great to see Dr Lanza operating and accrue the little operative pearls of wisdom that you can only get from such an experienced rhinologist. The surgical caseload was similar to a tertiary UK practice ranged from endoscopic sinus surgery for mucosal disease to more advanced cases including CSF leak repairs and pituitary cases with the neurosurgeons. Dr Lanza has an extensive experience in endoscopic skull base tumour work and it was useful to discuss many of his more difficult cases. I am glad to say that I did have some time out of the workplace to experience St Petersburg. It is undoubtedly one of the most beautiful parts of Florida to visit with a different pace of life to Orlando where the American Academy Meeting was held. Dr Lanza was a most generous host taking us out to dinner on several occasions to sample Florida-style American Cuisine. Ever keen to immerse us in American culture we were also taken to see a baseball watch where the Tampa Bay Rays played the New York Yankees. This was all the more special as it was the final homecoming game of Derek Jeter one of the greatest New York Yankees players of our generation! My time spent at the SNIFL was a very rewarding and educational experience. Dr Lanza was a fantastic teacher , impeccable host and true gentleman; a real credit to the rhinology profession in the States. There is no doubt a great deal to be gained from spending time with a pioneer in the specialty. I am grateful to Dr Lanza, Dr Solyar and the team at the SNIFL for making me feel so welcome. I thank the BRS for their help in funding my trip and I wholeheartedly recommend other trainees to experience rhinology in the USA. Fellowships in the USA require application via the American Fellowship Matching Scheme and require the USMLE. In addition many centres specify that they only take on US candidates. Most centres, however, are happy for international trainees to observe/carry out research which is definitely of value. I would recommend contacting physicians with a strong background in teaching with a view to a visit. Often this can be combined with a trip to the annual AAO-HNS Meeting. The most popular units receive numerous applications from around the world and so be prepared to contact early providing a CV with good reasons for your visit and some idea of what you can offer the department too.